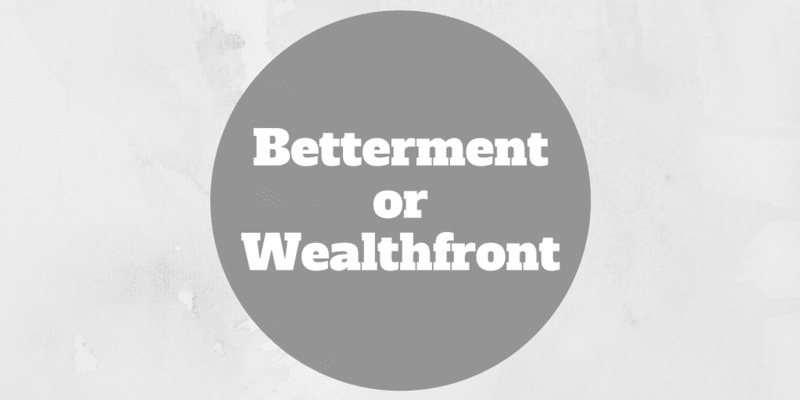 Home › Investing › Betterment Or Wealthfront: Which Is Better? Betterment Or Wealthfront: Which Is Better? 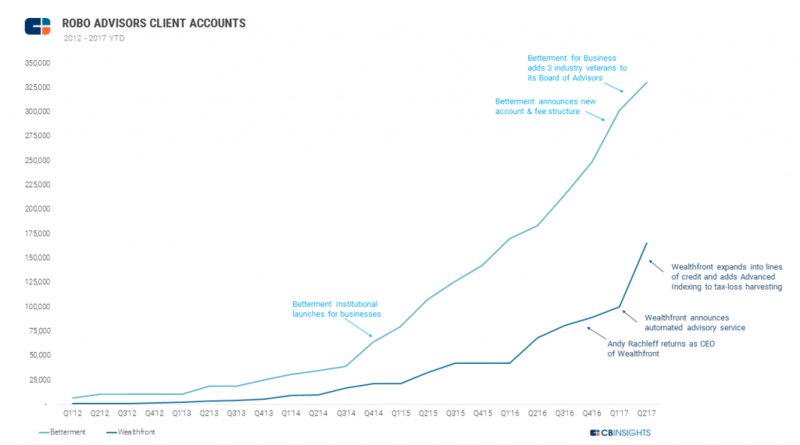 Betterment and Wealthfront began in 2008 as early robo-advisor pioneers. Since then, they have gone on to collectively raise almost $500 million in venture capital, accumulate approximately $1.6 billion in client assets, and serve around 500,000 clients. But which robo-advisor is best: Betterment or Wealthfront? Nipping at the heels of these top robo-advisors is a slew of rivals, who also provide digital financial advice powered by computer algorithms. Some like Ellevest target women while others like Schwab Intelligent Portfolios use proprietary funds in client portfolios to compete on fees. In spite of their rivals’ innovations, Betterment and Wealthfront continue to lead the pack, and have gone from strength to strength in building top notch automated investment management products at much lower cost than what most traditional financial advisors charge. But just because both robo-advisors have accumulated billions of dollars in client assets in a short time period doesn’t mean they are alike. When you look under the surface, they are different in many ways, so picking between them boils down to the factors that are most important to you: fees, human advice, tax impact, socially responsible investing options, retirement tools, financial calculators, mobile access, and customer support. Is Wealthfront or Betterment Better? Betterment and Wealthfront have both won loyal fans for delivering world class products but they have done so by pursuing different product and growth strategies. Both robo-advisors offer digital advice at the same low fee of 0.25% annually, though Wealthfront will manage your first $10,000 at no cost. And both cater to investors who want to align their dollars with their values by adding socially responsible investing portfolios into the mix. But Wealthfront has drawn a line in the sand when it comes to human advice. While Betterment makes Chartered Financial Professionals® available to clients who are willing to pay a slightly higher fee of 0.40% annually on managed assets, Wealthfront insists it will remain true to its origins as a purely digital robo-advisor. Although both robo-advisors focus on after-tax returns, Wealthfront has the edge. It is not that Betterment does a poor job by any stretch of the imagination. In fact, Betterment offers tax-loss harvesting and tax coordinated portfolios to optimize asset allocation across accounts. Plus, Betterment can even optimize for the tax impact of spouses’ overall portfolios. But Wealthfront edges out Betterment with a feature it calls Direct Indexing, which mimics the performance of a fund while actually constructing the portfolio with individual securities that can be more easily sold and replaced for optimal tax-loss harvesting purposes. Unlike Wealthfront, Betterment can ensure that your cash is fully invested at all times by using fractional shares. Fractional shares are a way to avoid cash drag in a portfolio. For example, if you had $25 of cash remaining in your portfolio, you couldn’t buy a single share of some high-priced companies, such as Alphabet. But if you could buy just a portion of a share, your whole $25 would be fully invested (and fractional shares makes that possible). For anyone who has struggled to come up with cash when it is time to pay for a new car, vacation, or simply to buy gifts, Betterment may have the answer for you with goal-based investing. Where in the old days a few cookie jars may have sufficed to allocate money to various different upcoming financial costs, Betterment has created an online equivalent that lets you deposit money into virtual buckets to keep you on financial track. Most top robo-advisors rely on Modern Portfolio Theory, which is based on Nobel-prize winning research, to allocate your money. The basic premise is to maximize returns for a given risk profile. So, if you are highly risk averse, your portfolio will generally feature a heavy weighting towards bonds and a lower weighting of equities, such as value stocks. And equally, if you can tolerate more risk, your portfolio will usually have a higher portion of stocks, which can be more volatile. Bonds historically have not produced returns as high as those generated by stocks. So if you have a higher weighting of bonds, your downside risk will likely be lower than an investor who is more risk-seeking but so too will your upside be more limited. When it comes to the variety of asset classes offered, Wealthfront has the edge by featuring both exposure to real estate via REITs, and access to natural resources. Both Betterment and Wealthfront support a wide variety of account types, from standard taxable accounts to retirement and trust accounts. But Wealthfront has the edge in offering 529 Plans. If you have children who you expect will attend college one day, a 529 College Savings Plan is generally a good idea to save and grow money that can be allocated towards their tuitions. 529 Plans are a little messy because they are often different for each state, so many robo-advisors steer clear of them. However, Wealthfront embraces 529 Plans, and in doing so separates itself from many of its rivals. With that said, Betterment doesn’t officially offer 529 Plans but does advise on them. One of the most valuable services offered by robo-advisors is dynamic portfolio rebalancing. The idea is to keep positions in a portfolio weighted so that they align with your risk profile. The danger of not rebalancing is that some positions over time grow so large that they dominate an entire portfolio, which amplifies returns and losses beyond target risk levels. While both Betterment and Wealthfront include free portfolio rebalancing in their offerings, they diverge on other services offered. Betterment makes it easy to connect with human financial experts, called Chartered Financial Professionals®, while Wealthfront provides an advanced tax-optimization strategy, called Direct Indexing, as well as a portfolio line of credit. The vast majority of Wealthfront and Betterment customers are from the general public, though as we will see, Betterment has a broader customer acquisition strategy. Wealthfront has fewer overall customers, who on average invest $40,900, but is growing faster than Betterment, where the average client invests $27,400. High net worth clients account for anywhere from 25-50% of Wealthfront’s business but less than 25% of Betterment’s business. While Betterment and Wealthfront both serve retail clientele, what you may not know is that Betterment also serves business via two B2B offerings. Betterment For Advisors is designed for institutional investors and registered investment advisors. 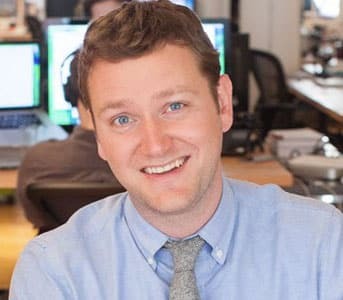 Betterment for Businesses is designed for employers who want to offer retirement services and 401(k)s.
According to official filings, by June 2017, Betterment had amassed client assets of $9.06B compared to $6.76B at Wealthfront. It’s perhaps no surprise to see Betterment outpace Wealthfront in the amount of client assets because Betterment serves not only retail clients but also business customers too. Plus, Betterment has raised more money than Wealthfront. Venture funds, such as Bessemer Venture Partners, Reinmkr Capital, and Anthemis Group, have invested $275 million. By contrast, Wealthfront has raised $129.5 million from Andreesen Horowitz, Greylock Partners, Social Capital, and Spark Capital among others. In the first half of 2017, Wealthfront was growing accounts about 3x faster than Betterment, which is a surprise given how Betterment has about twice as many clients and twice as much funding. 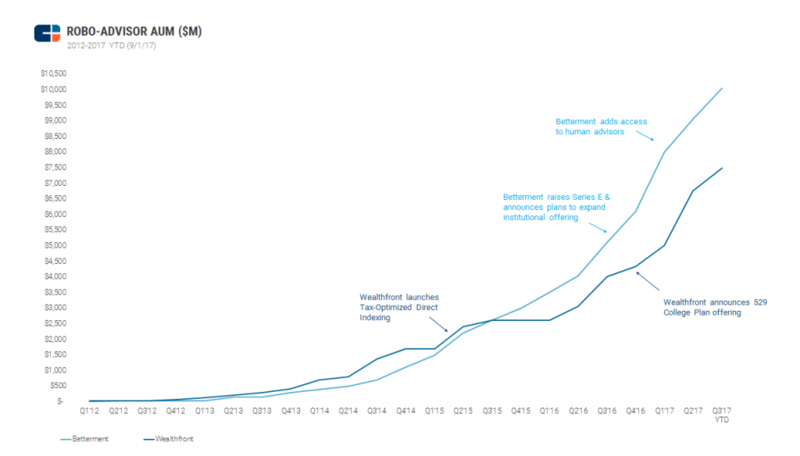 It is possible that Wealthfront’s 529 Plan offering has been a factor in this growth. Historically, human financial advisors offered prospective clients 529 Plans as an introductory product to get them on the “client ladder” so to speak. Once clients are satisfied, traditional financial advisors can generally pitch standard taxable accounts and retirement accounts more easily. The professional pedigree of the executive team at Wealthfront is hard to match, and it is a testament to Betterment’s founding team that they have not only competed so well up to now but outshone Wealthfront in terms of the size of assets under management and the number of clients served. 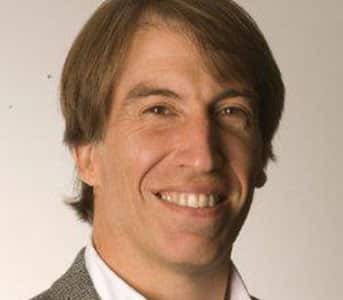 Wealthfront is led by Andy Rachleff, who was a graduate of the University of Pennsylvania and Stanford University Graduate School of Business, and previously a co-founder and general partner at Benchmark Capital. Betterment is a New York-based robo-advisor, founded by Jon Stein and Eli Broverman. Impressively, they built the platform while in business school and didn’t raise money until after presenting at Techcrunch Disrupt in 2010. Stein has a top class background too, having graduated from Harvard in 2001 and thereafter Columbia Business School. Together Stein and Rachleff have built companies valued north of one billion dollars collectively, and both feature on our list of top 5 robo-advisor CEOs. Both Betterment and Wealthfront are licensed in all 52 states and territories. And both have FINRA broker-dealer registrations as well as SEC Investment Advisor Registrations. For clearing, Betterment uses APEX Clearing Corporation while Wealthfront clears through RBC Correspondent Services. So, which robo-advisor is best, Betterment or Wealthfront? Both robo-advisors charge low fees for automated investment management services, though Betterment has pivoted to a hybrid model that includes human advisors (albeit for a higher fee and higher account minimums). So, if connecting to a real person is important to you, Betterment is your best choice. If you are looking to optimize after tax returns, Betterment won’t leave you shortchanged either. Tax loss harvesting and tax coordinated portfolios optimize for tax efficiency at Betterment but Wealthfront has the edge when it comes to tax-advantaged investing with its Direct Indexing program. The goal-oriented investing approach promoted by Betterment and its retirement tool, RetireGuide, is especially helpful to visualize how much you need to save for retirement and how much you can afford to spend during your retirement years. If you struggle to save for the rainy day life events that crop up from time to time, then Betterment will be a good fit. For families with kids who want to squirrel away money to pay for college down the line, Wealthfront will be your best bet for now because it caters to 529 college savings plans whereas Betterment will only advise on them. Both robo-advisors support standard taxable as well as retirement IRA accounts, though you will only get advice on 401(k)s at Betterment. Overall, Betterment and Wealthfront are in neck-and-neck race for pole position in the robo-advisor industry. Betterment has the edge for now, but over its shoulder is Wealthfront coming up strong. Whichever you do decide to choose, you can’t go wrong, though for now we give the nod to Betterment.